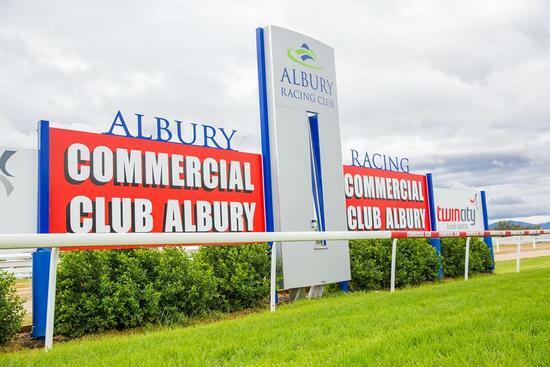 Albury will host a 7 event programme on Thursday, November 9, soft racing conditions are currently posted with the Widdison Racing Team supplying a number of runners to the local attraction. Race 2 on the card will see the stable prepared four-year-old gelding, Wyangle to be ridden by Nick Souquet in a maiden over 1175 m drawing barrier 1. Last time out the runner finished six of 13/1000m a fortnight ago at Wagga, when competing in a maiden, finished midfield field at odds, after travelling well back, made up a lot of ground to finish strongly. He has drawn well here and represents in each way opportunity. Bay Lane will compete in race three on the programme over 1400m in a maiden with Nick Souquet aboard the runner drawing awkwardly in barrier 12. Last time out the 4-year-old gelding finished 6 of 13/1400 m at this venue a week ago when competing in a maiden. Bay Lane is a nippy type who has the ability to overcome a wide barrier and hopefully be present towards the races conclusion, not out of it. In form galloper, Cash Crisis will compete fourth up from a spell in race 6, with the last winner to be joined by Chelsea McFarlane, jumping from barrier 1. Cash Crisis is a four-year-old gelding who has not finished out of the placings in three starts this preparation with a last start win chalking up win three for connections at Albury in a BM65 Hcp, finishing first of nine over the 1175m. He has a liking for the track and a liking for the distance, having led throughout in a dominant display last time out. He's a genuine front-runner who goes well on most surfaces. A genuine contender. Steve’s Choice will compete in a BM55 handicap over the 900m dash with Nick Souquet aboard the six-year-old mare jumping from barrier (7). Last time out she finished fifth of 8 over a thousand metres, a week ago at Echuca when competing in BM58 handicap. She has won this preparation at Leeton two starts back and although she did fade in the run at Echuca, she will most likely race on the speed and if you put a line through the last outing, the three starts prior to that carried merit. Best of luck to all connected with their runners at Albury.